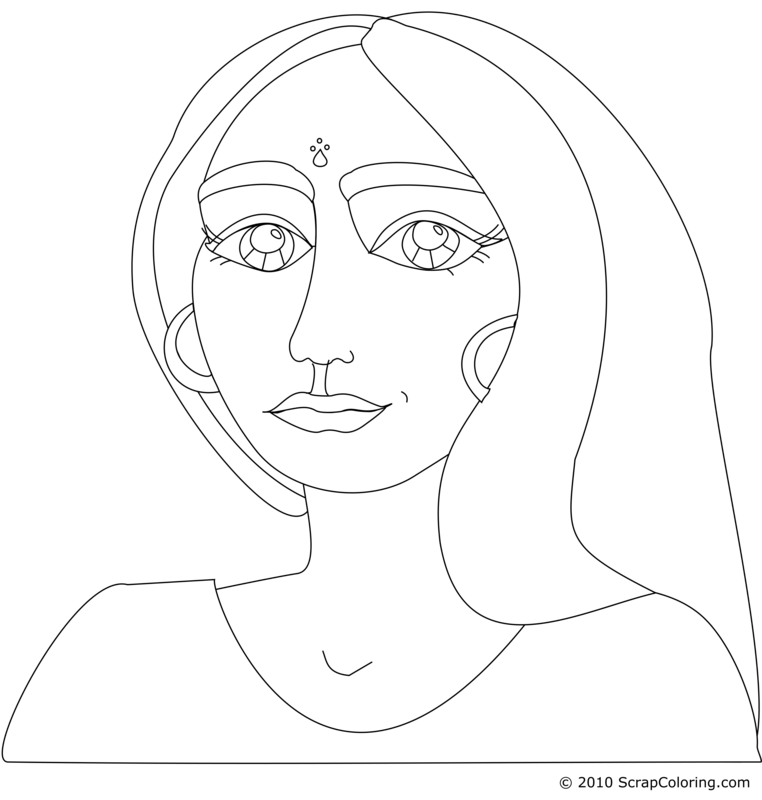 Juliana has made this very beautiful drawing of the face of a young Indian woman. I love her eyes! 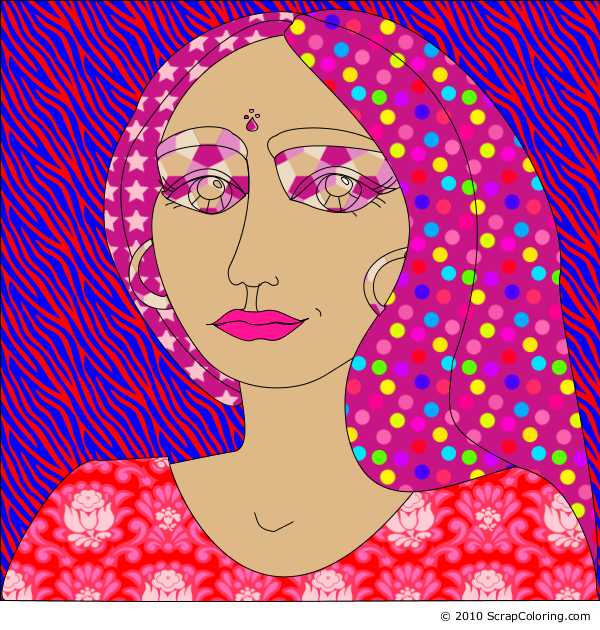 Juliana is a Brazilian artist who has published other very beautiful coloring pages on ScrapColoring. 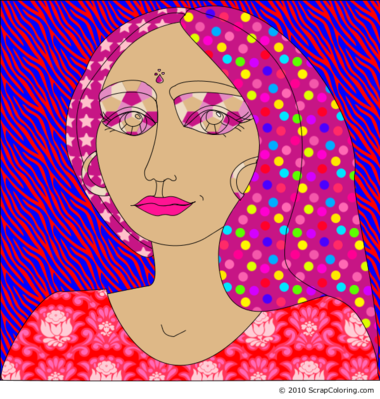 You can find them all here: coloring pages from Juliana Duclós. Thanks a lot Juliana! 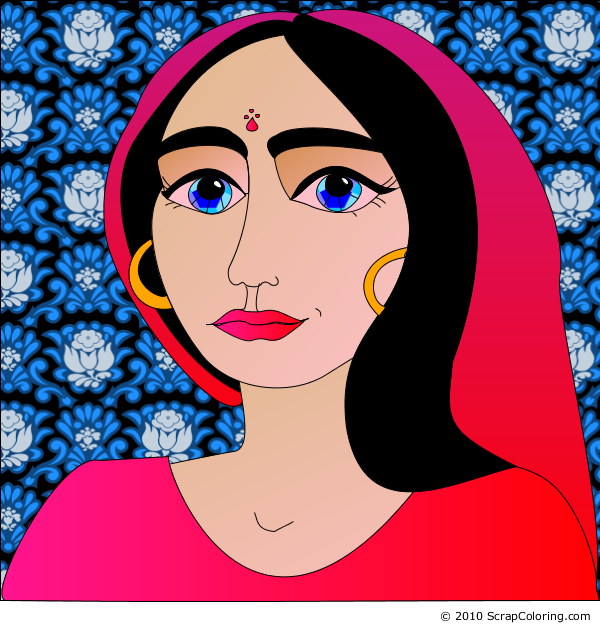 If you do not see the online coloring page Young Indian Woman in black and white above, you need to use another web browser: see the page Supported Browsers. no way thats not even good !